I am not very fond of advising guys on this subject as the question is always the same – will gadgets that they like be a good Birthday or Christmas gift for their girlfriends. Simply because…guys get gadgets more for themself, less for the real reason – a gift for girlfriend. Not to be mistaken: girls do like gadgets! The real truth about girls and gadgets is – we judge by the look. So yes, design, color, shape are very important. Awesome headphones. Great material and great sound. This is a great buy. The earmuffs are very comfortable. While still unworn pressure put on ears can sometimes hurt but do not be afraid of this though, it is not too bad. 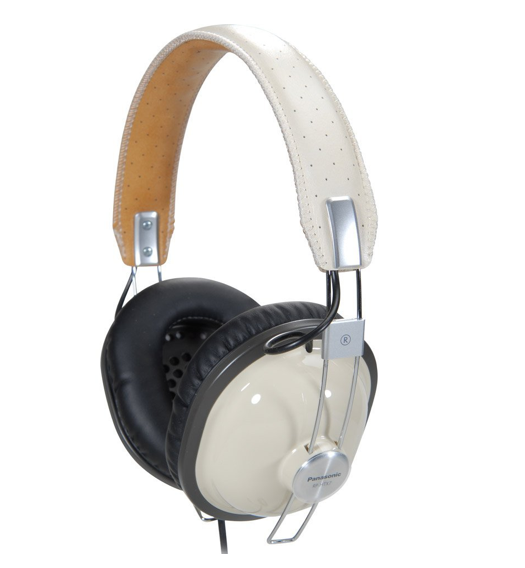 And an absolute steal for the price of $38,89 – Panasonic RP-HTX7-C1 Monitor Style Headphones (Cream). They get really good reviews! You can also get them in several colors, but Cream is my favorite. Polaroid went digital! It might sound oxymoron but anyone who likes using phone to take instagrams is going to love this camera! Insert SD card and choose the prints you want to print. Girls love them because sticky backed photos are perfect for scrapping. Best of all, the instant camera prints are only 50 cents a piece and must admit that’s not bad for instant crafting! 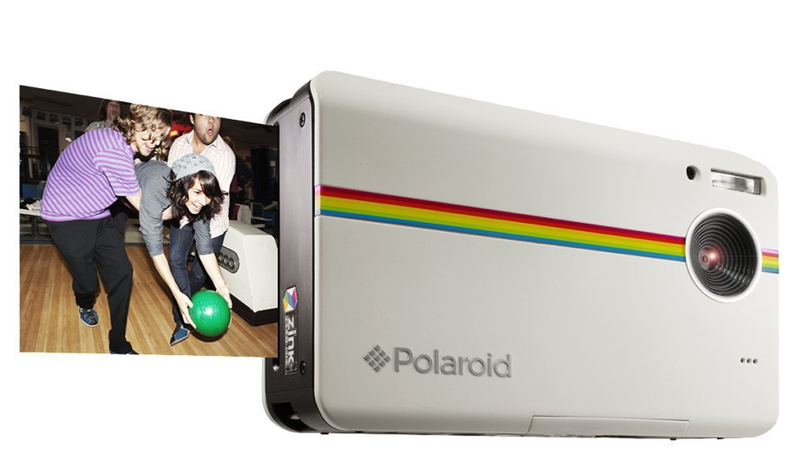 Another instant camera ultra-hip, retro styling will fulfill visual requirements. But that is not all. This mini camera is so fun that you can’t stop taking photos and you get slightly obsessed with it. Photos are credit card size and they take a minute to develop. So it ha the looks and easy to use – and for Amazon reduced price of $62,95 it is a gift everyone will appreciate! 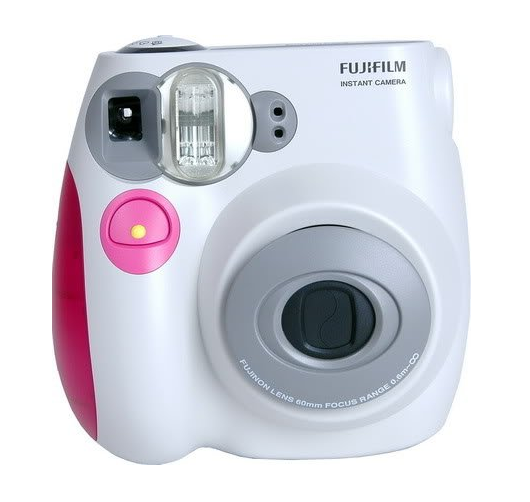 Includes camera strap and 4AA batteries, you will only have to get Fujifilm INSTAX MINI Twin Pack Instant Film for $13,49 and while you are there throw in Mini Zippered Camera Case for INSTAX Mini-7s, $14,94. 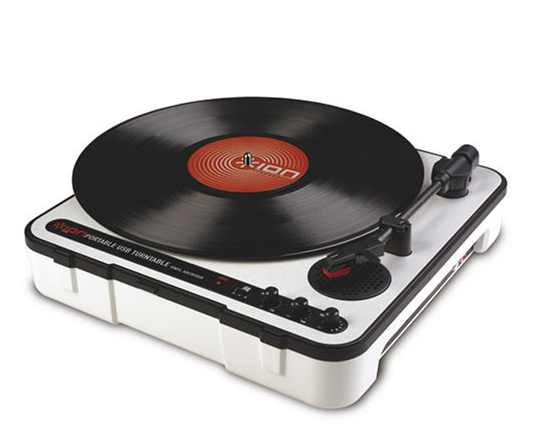 Ion Audio iPTUSB Portable USB Turntable with Software and Built-in Speaker. Reduced from $149,99 to $91,73 – wow, that makes a good bargain and you don’t end up looking cheap!